Grove - Wrapper is a kind of wrapper to fix and protect Grove modules. It will save you a lot of work on aligning your modules, and it will easy for you to show your project. For example, it will simpler to take pictures for showing your product on the Internet, and it will give a clear and clean scene if you use Grove - Wrapper to demo your project. 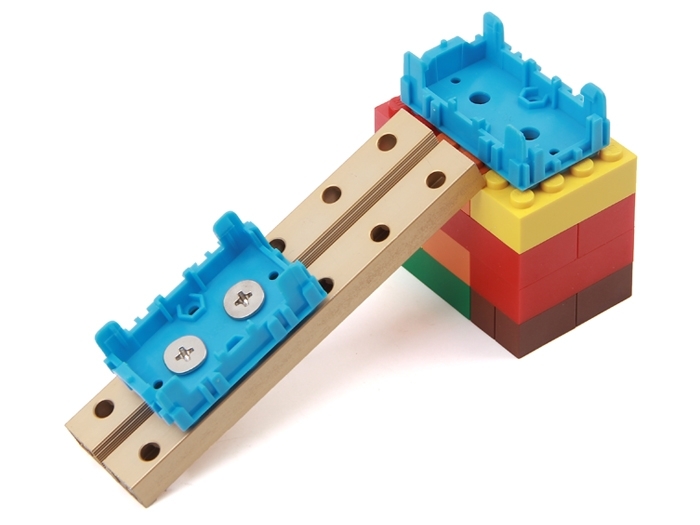 What is more, it is expandable for Lego, mechanical parts, and so on, this will introduce flavor into your work and make your project adapt to various circumstances. The mechanical design of Grove - Wrapper also make it easy to assemble and disassemble modules. Note that around 85% of all Grove modules are supported by Grove - Wrapper. Note that Grove - Wrapper series have two size of wrappers, each gets four colors, and there are totally eight SKUs that are listed at Specifications section. 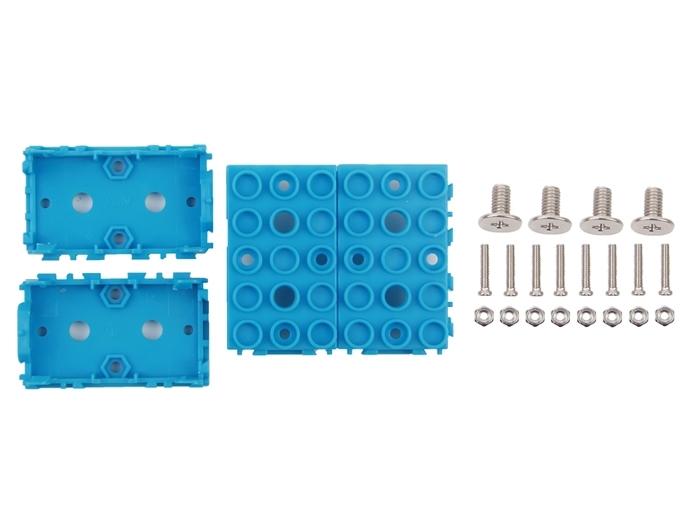 Flex fastener to install and replace Grove modules conveniently. Always keep your project safe. Half-open space, no disruption for using Grove modules. 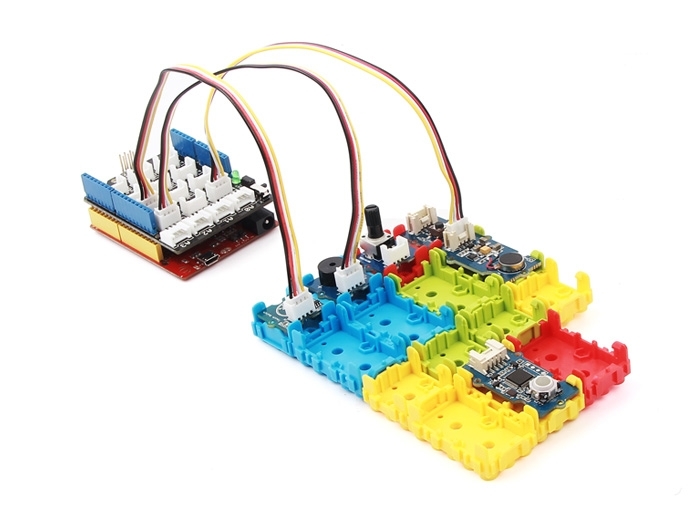 Compatible with Lego and Makeblock modules that will make your project adapting and interesting. Support being fastened with screws(M2, M4). 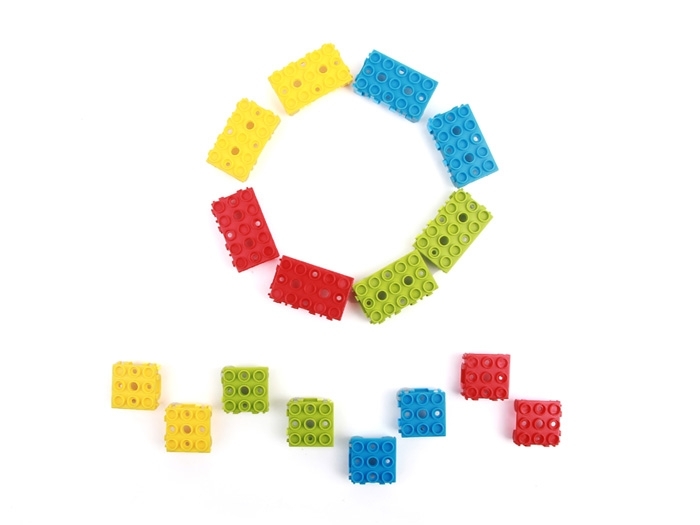 Mutual-connect-able like Lego modules does. Color Blue, green, yellow and red for both sizes for wrapper.